If you are fairly new to Online Marketing or are a Network Marketeer in todays modern world, and you’d like to expand into the web world, then you may not know what IS a Lead Capture Page and Autoresponder and what are the advantages in using them? Online network marketing tools are important. When I first started promoting online, I found it confusing as to when and how to utilise them. Below is a straightforward explanation. An internet page that “captures” an individual’s details such as their name, e-mail and telephone number, which is also called a Landing Page or squeeze page. That person then will become a lead or contact stored within this system. An Automatic System that sends pre written e-mails to a few people, or tons of people, called an Auto responder. This becomes an easy Communication Tool using e-mail. The system stores all information about your contacts/leads in one place, utilizing the Contact Manager. What is a Communication (E-mail) Tool? An email tool permits you to write, edit and send a personal email to many folks, for example to your team members, clients or prospects. The e-mail is written once, stored and sent out simply with the press of a button. That email can be sent out to a few people or in bulk to masses of clients all at the same time. What are the Advantages of a Communication (E-mail) Tool, known as an Autoresponder, for Your Online Network Marketing? An auto responder has the power to communicate with many people, all at once. You can write and edit any e-mail for sending out to folks, all from one place. Individualise each e-mail by inserting first name, last name, sponsor’s name, website links and more. Write a welcome letter or newsletter to your folks, or prospects, or provide training to your team. Stores all mails within the system to use again and again. Store thousands of emails all in one place. Set up your own email campaign. Send out a broadcast message to all your subscribers, prospects with one email. What is a Lead Capture or Landing Page? A lead capture page is a page online, which supplies a little information about your service, service or business, in the form of text, audio or video, as a teaser for what a customer/prospect can expect to see if they provide their details in the “Opt in” box. The optin box allows a visitor to your website to decide to “opt in” to subscribe for more details about your product, service or network marketing business. The box collects the person’s name, email and telephone number and files it in the Contact Manager. Advantages of a Lead Capture or Landing Page are? The lead capture page generates leads into your system when used on a domain/blog to collect the prospects information for a subscription, newsletter or coaching. The system will instantly email your prospect at set times as shown below using an autoresponder. The lead capture page lets you build a list, or database, which is imperative when doing online network marketing. It is often said that “the money is in the list” and this is used to increase your list. 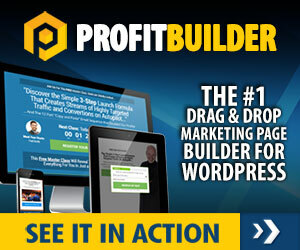 The lead capture page puts network marketing lead generation for your business on auto pilot. The lead capture page goes to work for you 24/7 for months and years ahead, continually providing fresh leads to pump your online network marketing business, product. These pages allow you to attend to other stuff including your offline prospecting. An autoresponder is a software that enables you to send mails to clients mechanically. This doesn’t mean that it writes the e-mails for you and it doesn’t involve spam or sending uninvited e-mail. What it suggests is that you set up a sequence of pre-written emails that are sent out to prospects in your Contact Manager at regular times. Benefits of an Auto responder are? You need to use an autoresponder to send e-mails out to your prospect list, at any pre-set time, even when you’re not at your personal computer. You can use an autoresponder to draft any number of e-mails prepared to send out to your prospects or team on any pre-set days. Your prospects will be added to the Contact Manager instantly through the Lead Capture Page. If a prospect chooses to unsubscribe, thru the autoresponder, from your contact list, that is looked after without you having to move a finger. You can use an autoresponder to send these messages out to people with their authorization, training them about your business, product or service. An autoresponder helps you to enhance trust and relationships with clients about your multi level marketing. Business, product or service or service. It helps them to get to know you and your business. An auto-responder puts your business into auto-pilot, as it is working your business 24/7. This permits you to focus on other things, and is favourable while you are say, on holiday. An autoresponder can keep you in contact with your team,eg for network marketing coaching purposes and company information. The facility to create numerous email campaigns as required for any sort of business. A Contact Manager is software that permits a user to store, organise, and search phone numbers, email addresses, dates, notes, lists, and more. One can store information regarding customers and prospects, schedule meetings and phone calls, write notes and organize emails. It is like a massive filing system for all your prospects and team. Advantages of a Contact Manager are ? Network marketing lead generation is attained by continually bringing in fresh leads to the Contact Manager. A secure place to store all your leads, both online and offline in one system, as a database. A system that allows you to easily chase up with your leads. The facility to sort your contacts/leads into classes and/or groups for emailing those particular groups when necessary. The facility to track your leads to follow how frequently they visit your internet site and which campaign they came from. Simply search your database for a specific contact/group. The power to import info lists from other software programmes into this system. A calendar to organize your conferences, phone calls and events. The email marketing software that I use as it is straightforward and reliable is AWeber. There are many of the above features and more with this programme. They offer inexpensive rates with the first month costing just $1, then $19 per month. Wendy Boon’s site has articles for Online Network Marketing, Tools and Lead Generation. This article explains – What is a Lead Capture Page and Auto responder?